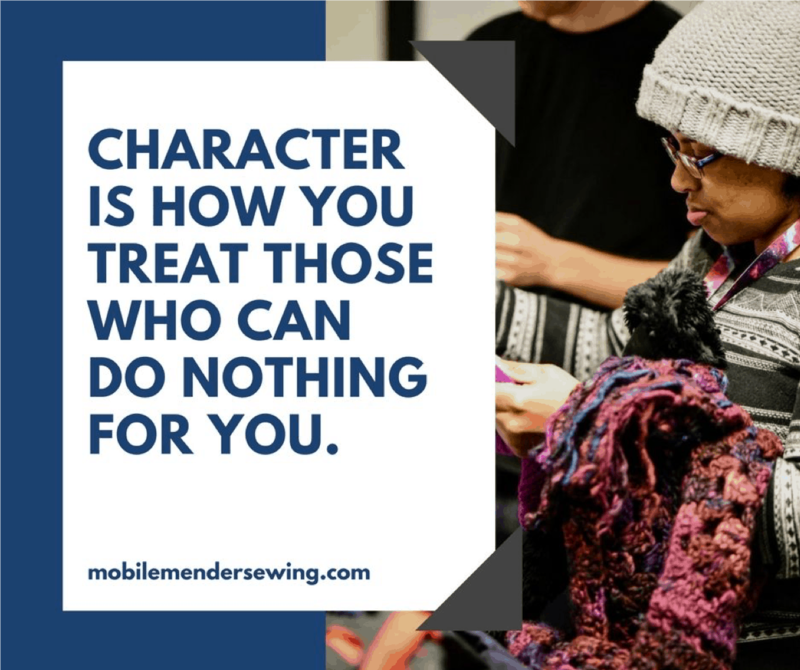 With just a little more than a year and a half behind her, Michelle has turned a single act of kindness from stitching a homeless man’s jacket into a robust ministry with national interest. Michelle’s story involves a robust system of volunteers (240+) and processes to track clothing, inventory and supplies with more than 900 clients served. She and her volunteer seamstresses and hosts have 10 events a month, with more and more demand. Michelle’s ask to the group- she believes she’s been called into the ministry, but with a full-time job and volunteers she’s wondering how she can continue to meet the demands of this growing ministry with the time she has.